UFC Fight Night 89 went down last night (June 18, 2016) inside TD Place Arena in Ottawa, Ontario, Canada, and now it’s time to see who went home with the largest slice of the Reebok sponsorship pie. For complete UFC Fight Night 89: “MacDonald vs. Thompson” results and play-by-play, click HERE! 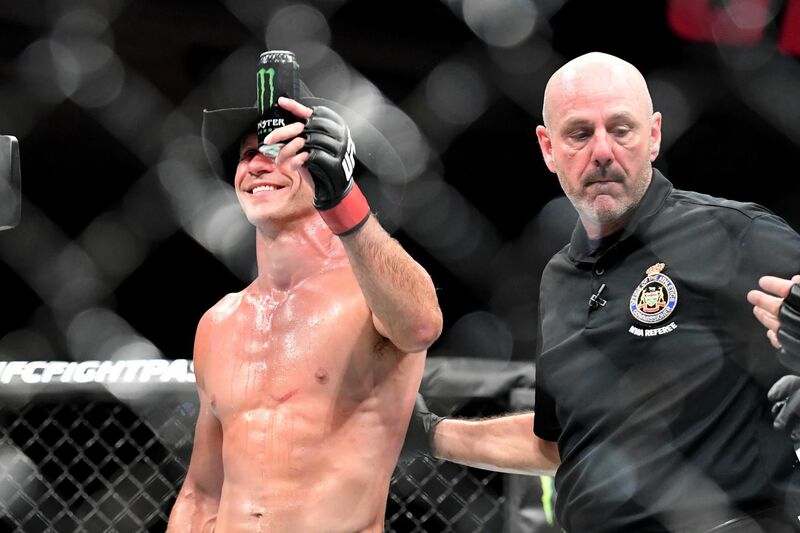 Donald Cerrone went home with the biggest sponsorship check, as he earned a whopping $20,000 after knocking out Patrick Cote in the third round of their co-main event scrap (see it again here). As for Cote, he earned the second highest Reebok payout with $15,000. Stephen Thompson — who took down Rory MacDonald in the main event — earned a $5,000 sponsorship check from Reebok, while “Red King” took home $10,000.